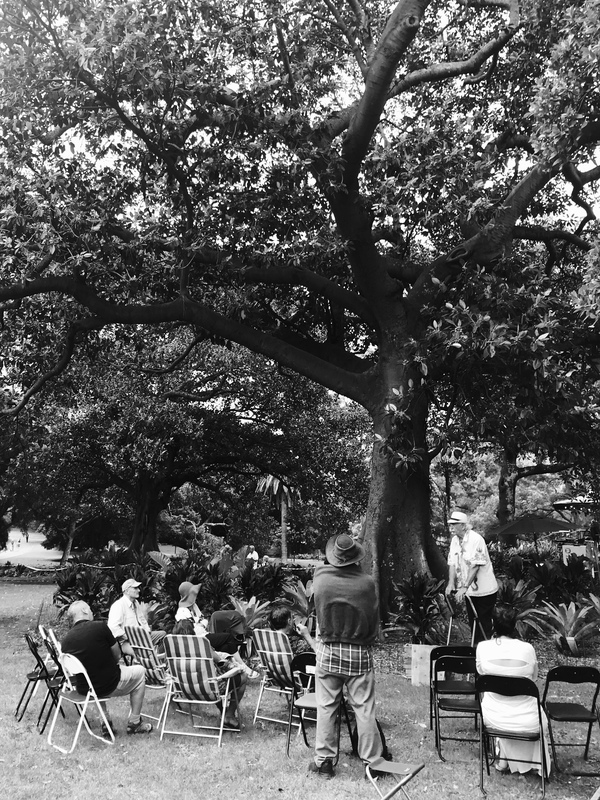 ‘Under the fig tree’, Speaker’s Corner, Hyde Park, Sydney, February 2018. Photograph by Amy Feldtmann. “Every Sunday, from 2pm until 5pm, people gather in Sydney’s beautiful Domain park to discuss matters. The ones standing on ladders are ‘the speakers’, and they believe it’s their job to educate their ‘grasshoppers’ or ‘groundlings’. The ones sitting in chairs believe it’s their job to point out why the speaker is wrong, and to heckle. Both parties are kept busy”.